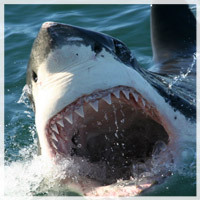 As the sun rises we will take-off for Gansbaai, the home to the Great White. Flying toward Sir Lowry’s Pass the helicopter will then fly along the coast from Hermanus to Gansbaai. Spend the day at sea on-board Marine Dynamics boat with professionally trained staff to make your Shark Dive experience the most memorable. Return to Cape Town at your convenience after lunch. Drive along the coast of Cape Town with breathtaking views from Camps Bay to Cape Point. Stop at boulders beach to see the penguins colony. Stop for lunch at Spier wine farm & restaurant in Stellenbosch. Enjoy a wine tasting or visit the bird sanctuary to get your picture taken with one of Africa’s eagles. This is the on the go day trip for those who need to see as much of Cape Town in as little time as possible. The morning starts with a cup of coffee and then off to see the sights of cape town. You will be at the famous noon gun that fires everyday precisely at 12, from there your guide will take you up table mountain where you can have lunch overlooking the city. 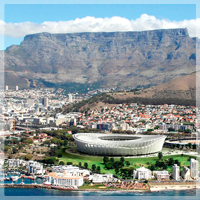 Your last stop will be a choice of the Cape Town Castle or the new Soccer Stadium before returning you to your hotel. 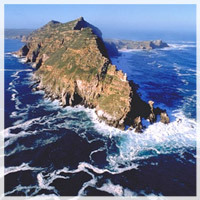 For lovers of flowers, this day trip takes you up the west coast towards St Helena Bay. 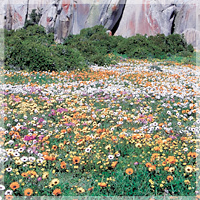 From there you travel inland to the Cedarberg and Namaqualand. The colors and diversity of flowers seen along route are stunning. You will have lunch in the fields of flowers and have enough time to walk freely and take photos. Return to Cape Town at your convenience.